Canadian Transportation Agency (CTA) took the position that its own “Public Record” is NOT “Publicly Available”. Dr. Gabor Lukacs, a Halifax-based Canadian air passenger rights advocate, disagrees and took the matter all the way to a judicial review and won the argument for all Canadians today. 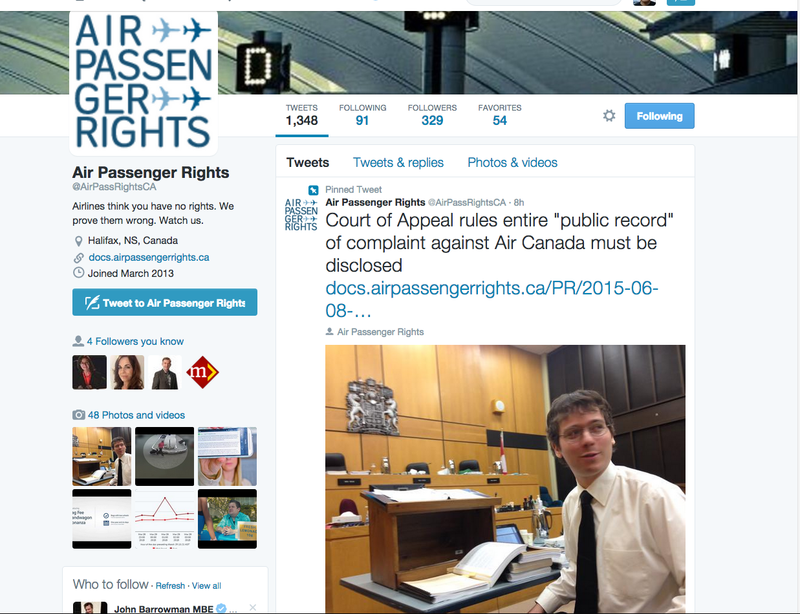 A panel of three Federal Court of Appeal judges has unanimously agreed with Lukacs and concluded that the redactions of its Public Record (in this case, a dispute resolution proceeding between Air Canada and a family whose flight from Vancouver to Cancun was delayed) were “impermissible.” The panel held that since the documents sought by Lukacs were already on the CTA’s Public Record, they were Publicly Available, and thus the Privacy Act does not restrict their disclosure. The path to official recognition as a Canadian air passenger rights advocate by the court and the unanimous judgement did not come easy. Lukacs has spent over a thousand dollars of his own money, hundreds of hours of his spare time in research, documents filing, preparations, and moot courting with friends (one of the friends is a lawyer). All the hard work and money culminating in a March 17th, 2015 formal self-represented court room appearance (above picture) by Lukacs, a Mathematician, against four experienced lawyers representing the CTA, the Privacy Commissioner of Canada, and the Attorney General of Canada in front of the panel of three Federal Court of Appeal judges. The judgment vindicates Lukacs, who wanted to view the complete file of the complaint to decide if the CTA’s decision was based on grounded reasoning or biased to benefit Air Canada. Common sense would lure people to believe CTA would not be so blatant in its bias to help Air Canada in a dispute resolution by redacting details such as the names of Air Canada’s lawyers. Yes, the names of the lawyers. Are those Air Canada lawyers 12 years old minors needing Of course, common sense is not common. And names of Air Canada’s lawyers were redacted under the pretext of compliance with privacy legislation. Lukacs saw through the guise of “privacy” protection and challenged the redactions based on the fact that none of the documents were subject to a confidentiality order, and the open court principle, which requires adjudicative proceedings to be open and available for public scrutiny. “This principle has been hailed by the Supreme Court of Canada as one of the hallmarks of a democratic society, held to be tied to the freedom of expression and press guaranteed by the Charter, and is frequently invoked by the media to gain access to court documents.” states Lukacs. 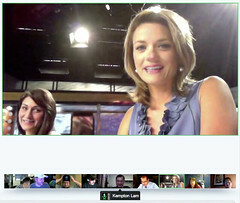 1) News anchor running G+ Hangout connecting to maximum of nine Electronic News Gathering (ENG) teams in the field. 3) Any “newsroom” can probably set this up easily. In fact, any team of volunteer citizen journalists may even be able create such a reporting setup with less trouble. All it takes is each individual citizen journalist to have a notebook computer, a fast 3G/4G data stick, and a camera. And these citizen journalists can work together depending on needs and events, etc. 4) Feed the G+ Hangout video stream out to the wider world using tools like Livestream for mass distribution. 5) Use cases: Will be quite cool to report on elections, street festivals, concerts, and live events. Non-ideal use cases: Any major crisis, earthquakes, etc where the mobile 3G/4G networks are expected be extremely congested and overloaded. In these rare cases, old school dedicated microwave or satellite transmission will likely provide more stable transmission than overloaded mobile data networks. 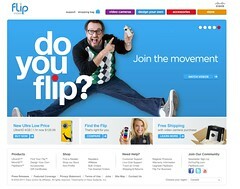 Today, on April 12th, 2011, Cisco shutdowns its consumer video division Flip. 3twenty Solutions‘ Bryan McCrea, Channing McCorriston & Evan Willoughby gave a wonderful pitch of their business on CBC Dragons’ Den. I love interesting use of containers, and I am impressed with the 3twenty‘s business and its tagline of “durable, stackable, transportable modular structures – give new life to old shipping containers”. Seem like a wonderful business idea with some good potentials. As a business, new entrants to the market can probably copy and compete with them without much difficulties but I trust the entrepreneurs will work very hard to ensure a good return for themselves and their investors. Best of luck to the 3twenty team. 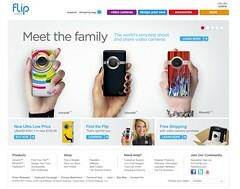 Check out their Facebook, YouTube video, Twitter, and Flickr photos. Here is their pitch video on the Den. Here is a CBC news video clip (posted in May 2010) about 3twenty going to the Den to ask for money with more details. Mr. Wilson was on hand for the unveiling of the first container: “He walked in and said we should come on the show,” Mr. McCrea says. About a month before appearing on Dragons’ Den, 3twenty Solutions made its first two sales worth $70,000. The momentum was building, but they decided to take Mr. Wilson’s advice and enter the Den mainly to get a strategic partner. Honibe pitched their dry solid honey “honey you can hold“ business on the Jan 19, 2011 episode of CBC Dragons’ Den. Although I haven’t tried the product and don’t know how good/bad it tastes, it seems like a good idea (even it may seem a bit pricey). Knowing I won’t have time in the next while to write a more detail article about Honibe, let me share with you what I’ve found so far. Here are links to Honibe’s Canadian trademark (TMA729391) and patent (CA 2649936) for interested readers. I had tried but was unable to find Honibe’s US patent filings (to me, US patent is important to have since US is a much bigger market than Canada). For those that are new to patents, one can learn a lot about about a business from its patents (in this case, Honibe’s patent). There is a press release from the governments, “Federal and Provincial Governments Congratulate Island Abbey Foods on Winning International Award” when Honibe won the prize for Best in Canada 2010, Best of Sweet Grocery Category 2010 and Best New Food Product in the World 2010, the Global SIAL d’Or, at the Paris-based awards. Here is a video of Honibe Dragons’ Den pitch. I love frank and engaging interviews and Piers Morgan had a great chat with Ricky Gervais, one of my favourite comedian, especially after Ricky’s Golden Globes performance. In case you missed Ricky’s performance, here is his Golden Globes 2011 – Opening Monologue and maybe you can see what some of the fuzz was about. The night got better or worst depending on who you talked to. When was the last time a host got so much attention to Golden Globes a week after the show? I agree with Seattle Pi, Bring back Ricky! Also check out Ricky’s blog for his takes on things. * By the way, I think the following exchange between Ricky and Piers Morgan was very revealing of Ricky as a person. Hollywood Reporter, “Ricky Gervais: It’s the ‘Right Thing’ for Steve Carell to Leave ‘The Office'” Here is an excerpt (emphasis added).